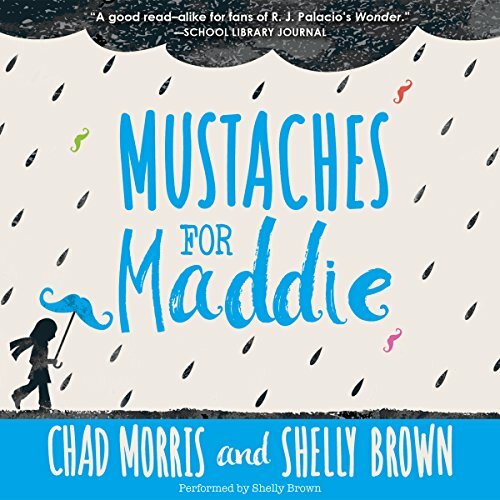 Showing results by narrator "Shelly Brown"
Twelve-year-old Maddie has a quirky sense of humor and loves making her classmates laugh by slapping on fake mustaches every chance she gets. Being funny gets her noticed by class queen Cassie, and things are looking up when Maddie is cast as Juliet in the school play. Maybe Juliet could wear a mustache? When Maddie starts tripping when she walks and her hand starts curling up at her side, her mom takes her to the doctor, who confirms Maddie has a brain tumor. In an instant, her world is turned upside down.